Kolkata is the hub of cultural aesthetics and rapid development in the eastern part of India. Mixing the old with new, the city still has its nostalgic mark in every lane and building. However, during the peak hour of modernization, the city is covered with tall luxury apartments which are redefining the concept of living for the residents. 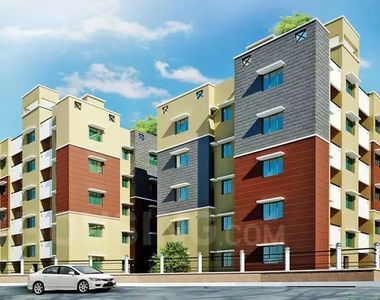 Merlin group is a renowned real estate firm in the city and it vows to offer an exceptional living space for the interested ones. The southern part of Kolkata is a prime example of the modern-day development with posh apartment complexes adorning the neighborhood. Located right beside the water body, Merlin iland Picnic Garden is another gem in the South Kolkata society. Extended over 2,000 SQ.FT, the complex can accommodate 117 families who wish to dwell in the fresh atmosphere. The apartments are divided into two colossal towers; one with 12-story tower and the other one with 24. Considering your budget and interest in getting plush amenities, choose the variety of 3BHK and 4BHK apartments wisely. Security is one of the important frameworks that influence client further in buying the home and Merlin island is well equipped with video door phone. With indoor games, AC fitness club and swimming pool, going out of shape is never a question. Reaching the stars with service, the island project is all set to provide splendid facilities. Who would not love to reside near the most lavish and exotic shopping mall in the city? Quest Mall is only 3 km away from Merlin iland Kolkata and other shopping centers are within the radius of 2.2 km. Additionally, for taking care of regular to critical ailments at the hours of need, Ruby Hospital is only 4 km away. 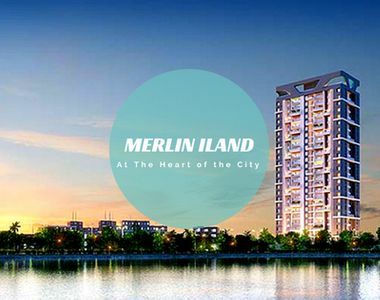 Merlin iland Price List is another advantage for people wishing to live a comfortable lifestyle as 3BHK (1436 SQ.FT) starts at Rs. 81.70 lacs only. And the highest range is Rs. 1.20 crs for a 4BHK extended over 2117 SQ.FT. It only costs Rs. 5690 per square feet which is comparatively low considering the mind-blowing amenities the client is getting in return.